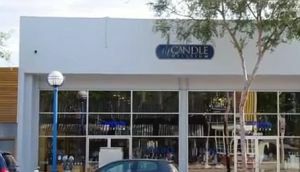 In this episode of The Profit, Marcus Lemonis visits Wick’ed Candle Company. Wick’ed Candle company is candle maker owned by husband-and-wife team Samantha Schacher-Biren and Mark Biren. 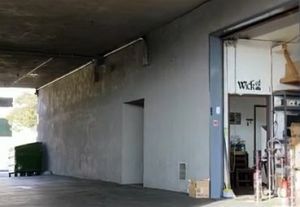 It was founded in Los Angeles, California in 2010, the company has already made a deal with Urban Outfitter and Kitson. Their working motto is: Innovative. Luxurious. Timeless. In their kitchen, Mark and Sam conceived the first distinct candle. They were frustrated that they could not find a candle on the market that meets their wedding vision. Sam’s botanical knowledge and Mark’s amazing creative skills were fused to produce classy handcrafted candles. 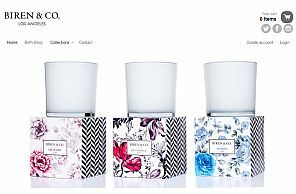 Although some products of Wick’ed are already known and available on luxury stores, the company is not earning even a penny. The company is about to close and in debts. However, Marcus found a lot of potentials for this company. He has faith with the concept and the possibility of reaching the masses. When Marcus visited their location, he was disappointed. Things are all over the place and no system is in place. He was dismayed that even with popularity, Wick’ed has no process and profit. When they checked the finances, the company needs help before things get worse. The business is very niche. Does not have strategies to attract the masses. Mark can hear but does not listen. Mark does not trust anyone. Mark troubles in processing feedbacks. There are no full-time employees. The candles need more scents. After Marcus checked the finances of Wick’ed, he decided to make a deal. There was a bit of argument when he called the company a “Startup” because it has no working capital, no cash in the bank and mounting debts. Marcus offered Sam and Mark $200,000 deal for 33% ownership. Marcus admitted that he does not normally invest a big amount for startups but he is confident that Wick’ed can go miles away. The couple happily accepted the proposal and the deal was sealed. Marcus is in total control and Sam will now handle the scenting process. Streamline the design process to appeal to masses. Find a manufacturing partner so that Mark’s focus will be on design. Find a distributor or representative to promote the product in the market. Make new designs and new products. Simplify the design and concepts. They went into kitting to double or triple the revenue. After the deal was made, Marcus and the Biren couple went to the Candle Delirium to see what can work best for them. They were looking for the right and effective concepts that will attract customers and make more sales. Marcus told Mark that he should learn to listen to what others say and should not be too defensive. They also visit the Modern Candle to let them manufacture the candles to lower the production cost and lessen Mark’s burden. Unfortunately, Mark was not happy because he holds grudges with the company. After Marcus talked to him, they agreed to let the company manufacture the candles. After several weeks, Marcus was disappointed Mark did not follow up. When every issue was settled, Marcus asked them to make a new collection. He asked them to make some changes to make it more appealing. He also suggested changing the company name from “Wick’ed” to “Biren & Co.” The couple gladly agreed. To make all their perceived solutions work, they went to Market Ready to find appropriate kitting deal. They made it. They also went to Harper Group for a possibility of distribution. The company was impressed with the presentation and ideas and made a deal with the Biren & Co.
Marcus was so proud of Sam and Mark. He was pleased with the big improvements happening with Mark. Biren & Co. has already changed their process and made a deal with a co-packer. Marcus truly believes that the company will make a big name in the candle industry.